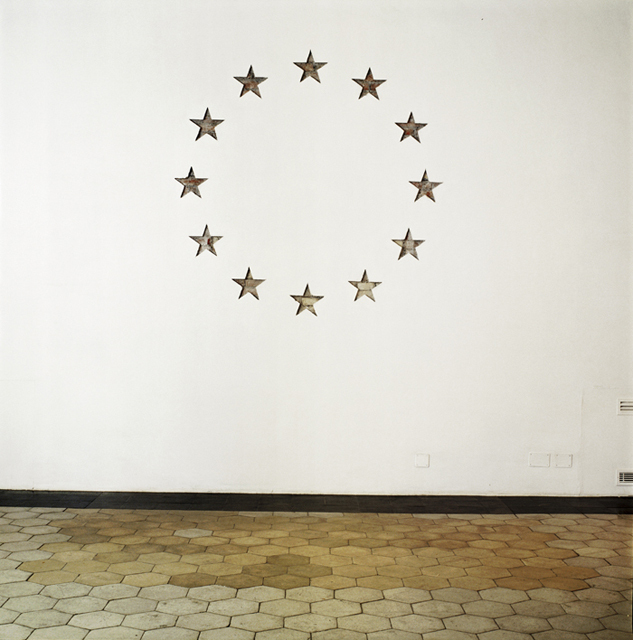 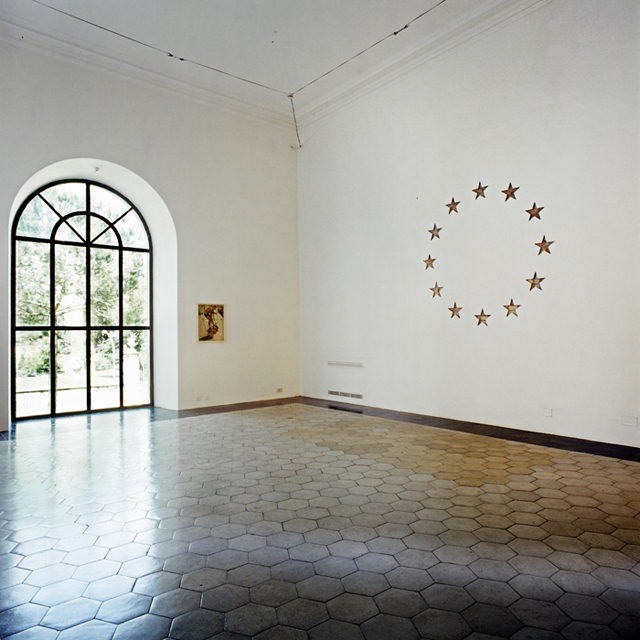 “Exchange” consists in lifting the twelve stars of the European flag off the plaster of one of the walls at the American Academy in Rome by means of the “strappo” technique used for removing fresco. 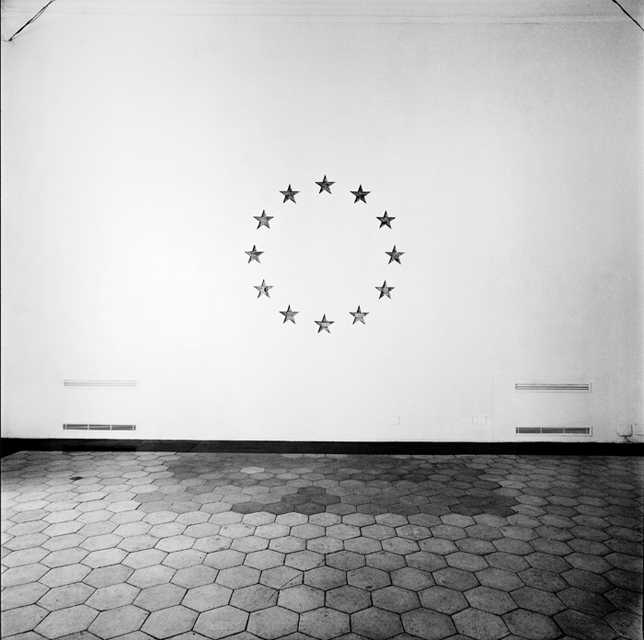 The five-point-star, or star-shaped pentagon, represents the two-dimensional figure which can be drawn in infinite progression. 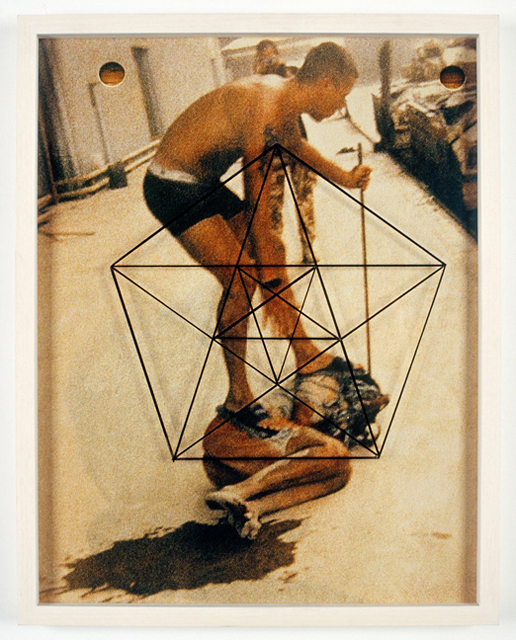 It may refer to the golden ratio, as well as to an ideal of absolute perfection.